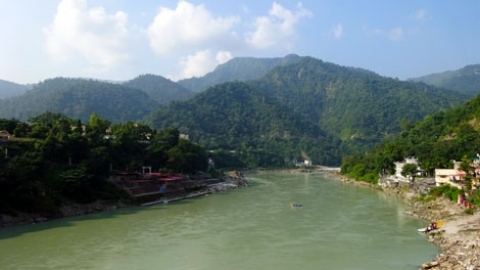 India is a vegetarian paradise, and it can be a vegan paradise as well, it just takes slightly more effort to be sure your meals are plant based. 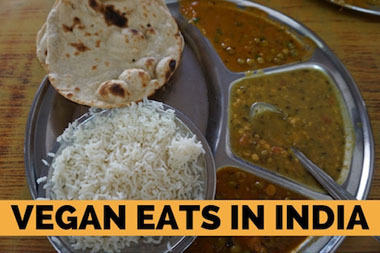 Over 500 million Indians are vegetarian and vegan due to religious reasons, and many more are vegan for ethical reasons. 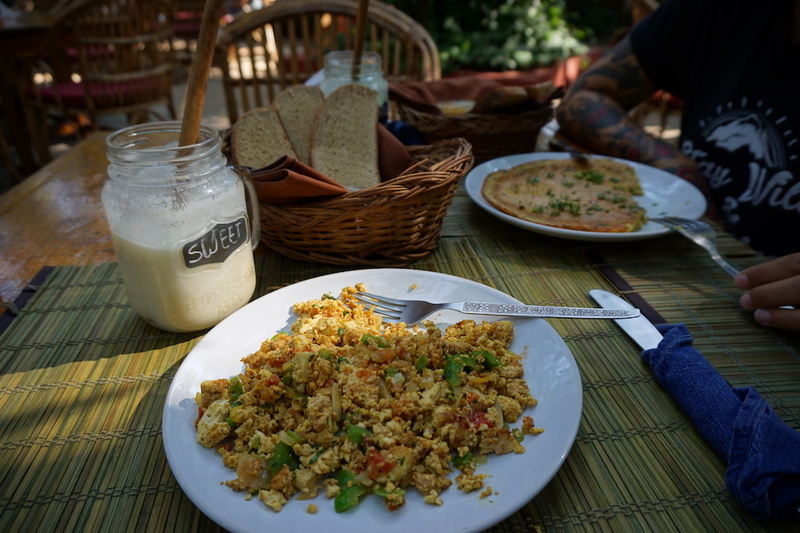 Cody and I found vegan food a plenty during our month sojourning India. 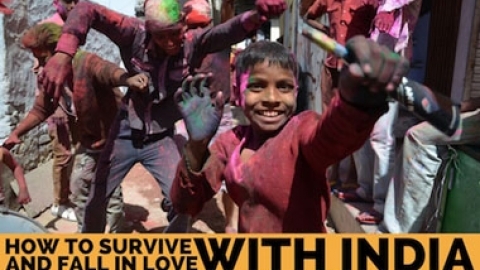 “Pure Veg” in India means no meat, or eggs, but it doesn’t include butter, cheese, or milk. “Ghee” is unclarifed butter, and it is very popular in India, so watch out for it. Pure veg restaurants also serve eggless mayo, but you may want to double check just to be sure. Chapati, naan, and roti may be cooked in butter, or have butter spread on it, so just ask for no butter, and oil instead. Veg Thalis are one of my favourite Indian dishes, but they are sometimes served with curd, yogurt, or paneer (Indian cottage cheese), so again, all you have to do is ask for your thali without the 3 dairy products. As long as you are clear with what you won’t, or can’t eat (I tend to say I’m allergic) your meals should be plant based. 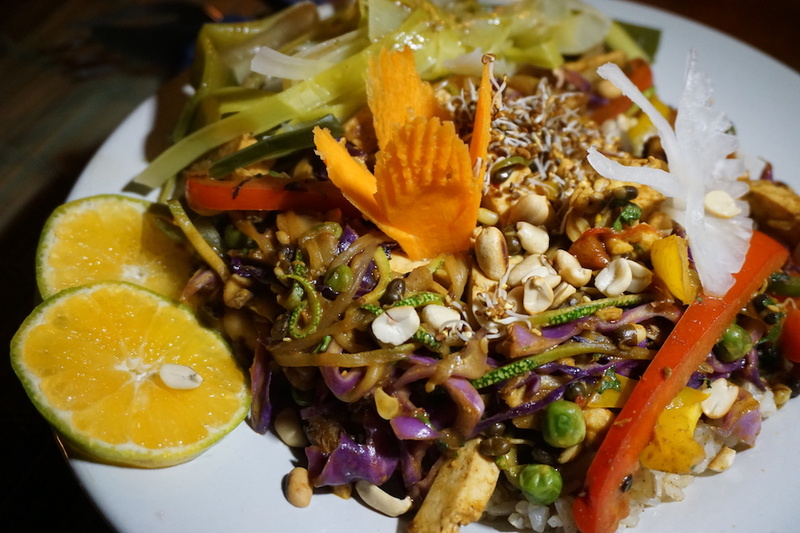 Below are all of the amazing vegan dishes we revelled in during our month in India. Idli is an Indian and Sri Lankan breakfast. It is mostly served in south India, and made with a batter of fermented rice, and black lentils. 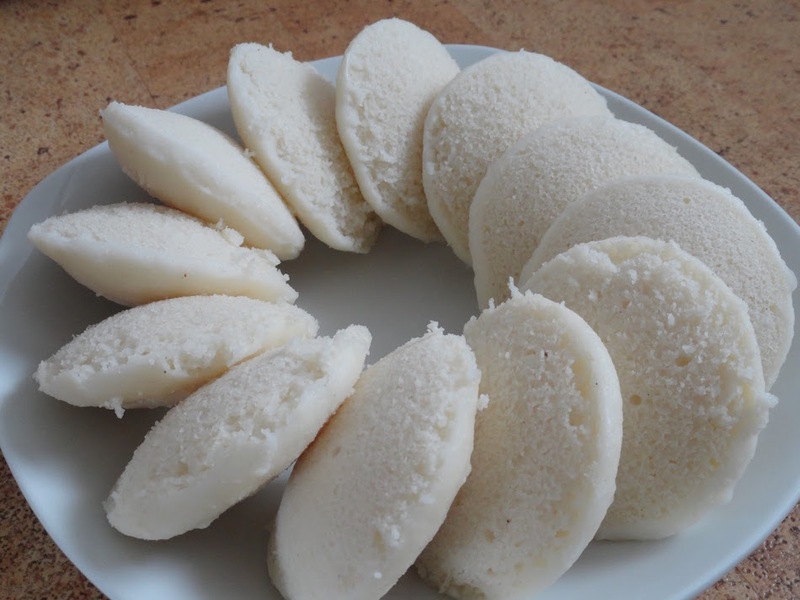 Essentially, they are a very pretty saucer shaped steamed rice cake. 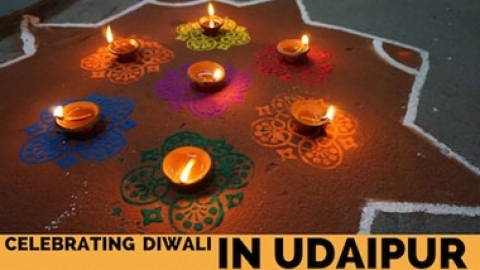 It is has a soft spongy texture and is usually served warm with coconut chutney, and lentil sambar. It is rather mild and melts in your mouth. I really enjoyed idli as a breakfast while in India. 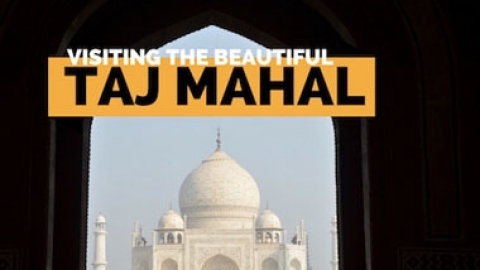 It is beautifully complimented with an almond masala chai. Veg sizzler is this incredible dish that we had never tried or heard of even though we frequented Indian restaurants back in Canada. As far as we know, they are exclusive to India. This dish consists of finely minced vegetables mixed with flour and shaped into a patty. 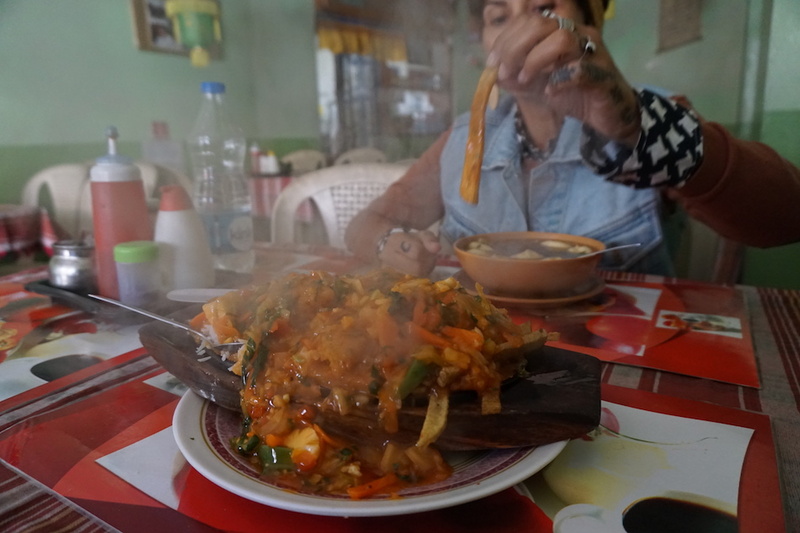 A cast iron dish is placed on the fire until it is extremely hot; potato, and/or rice is plated, then the patty, and it is all smothered in more vegetables and gravy. The presentation is so much fun. It comes out sizzling, smoking, and smelling so damn good! Veg sizzler dishes vary. 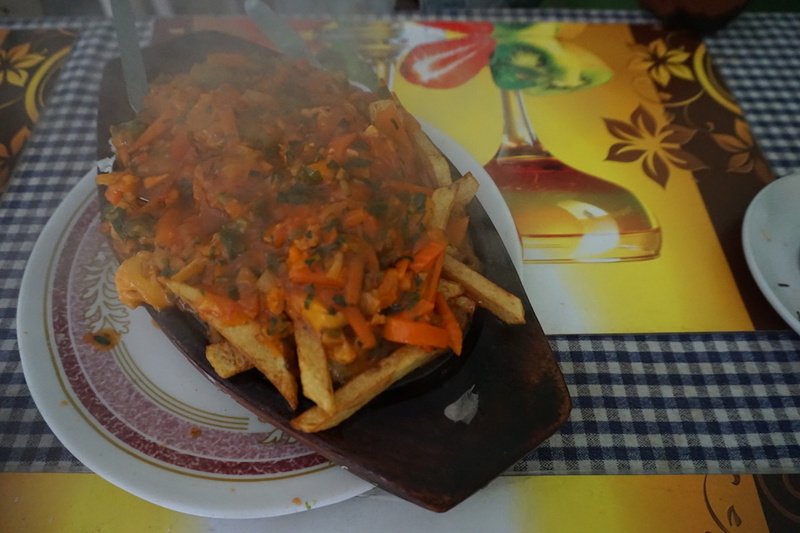 A few we’ve tried have included patties, others veg manchurian balls, and others just finely chopped veggies poured over potatoes and rice, and topped with gravy. We have yet to be disappointed. This is in the top 5 of our favourite Indian dishes. I have looked up the recipe for veg patties, cutlets, and manchurian balls, and I have yet to find one with milk, butter, or eggs, but I still ask wether the dish contains any of the 3, just to be sure. The beautiful, golden, crispy, paper thin bread that is masala dosa is also considered breakfast in India, but we’ll eat it anytime of the day or night. 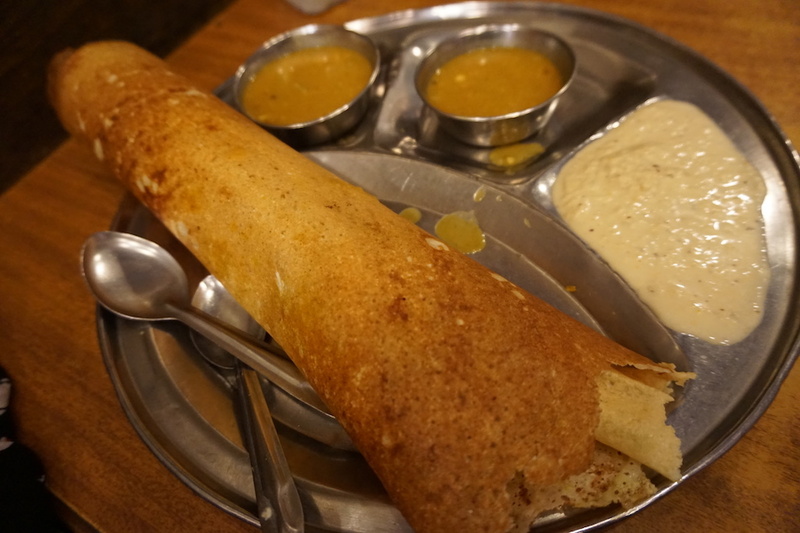 Masala dosa is something like a spicy Indian crepe with a crunch. A batter is thinly spread over a hot plate. 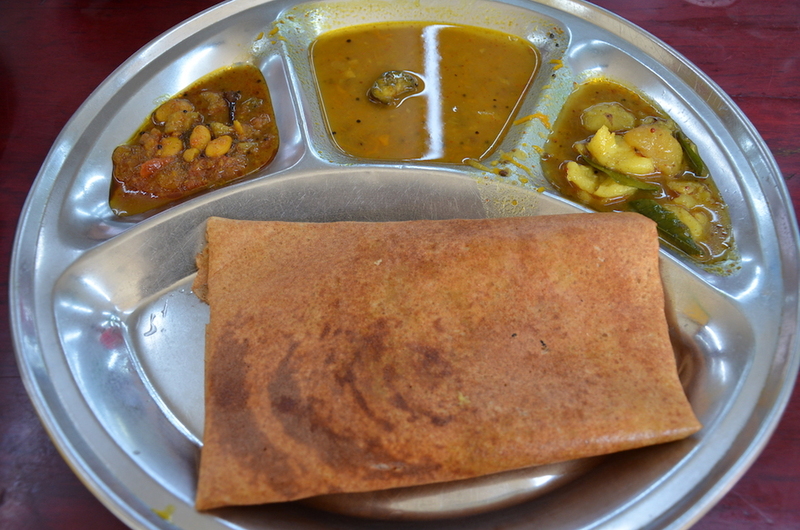 It is filled with curried potatoes, and then the potatoes are rolled up in the dosa. It is humbly served on a metal plate or banana leaf with a lentil sambar for dipping, and an amazingly rich coconut chutney. It is a delight to eat dosa. 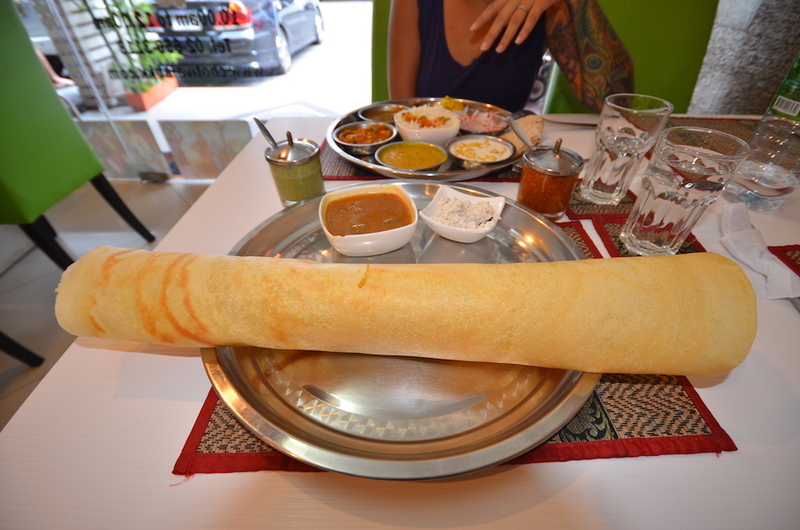 You can find dosas at pure veg restaurants that advertise South Indian food. 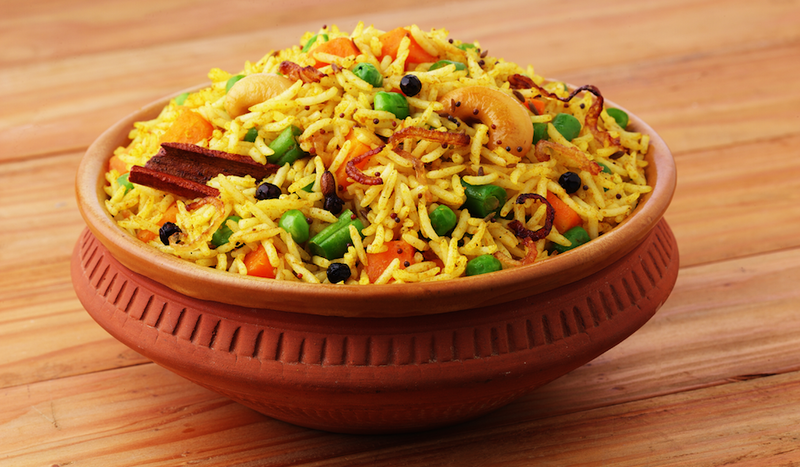 Vegetable Biryani is a dish that varies across the country giving it many different flavours. Traditionally, it is prepared in 3 steps. Step 1 cooking basmati rice with whole cinnamon, cloves, and other spices. Step 2 cooking a variety of vegetables in different spice powders. Step 3 combining the spiced rice and vegetables in a slow cook container where it continues to steam and absorb all of the incredible flavour. Biriyani is an incredibly aromatic and flavourful dish. If you order it at the right restaurant, it will be a meal to remember. Channa masala was one of the first Indian dishes I tried way back when I was a wee girl. It was spicy, pungent, and so full of flavour. I loved it! You really don’t need much else to go with channa, except maybe some plain naan bread for dipping, and scooping. The main ingredient for channa masala are chickpeas. So simple, yet so delicious. 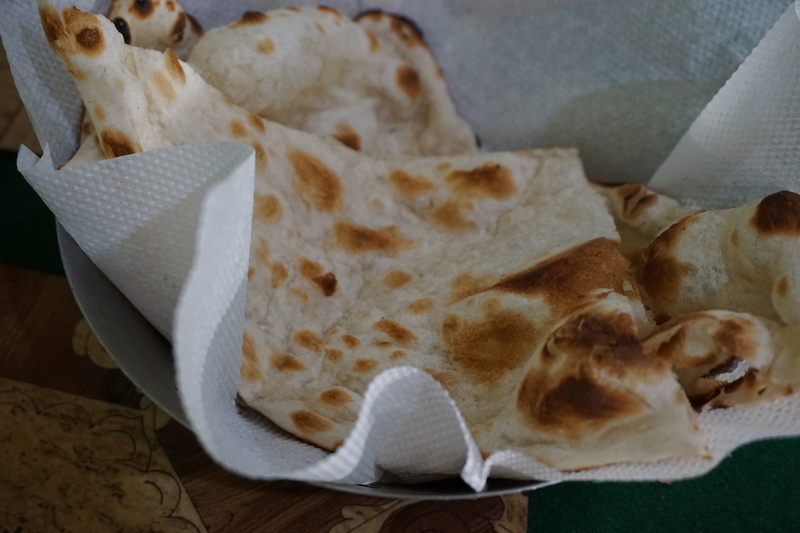 Naan bread is made in a clay oven, and comes to your table steaming hot in a basket. Dip it in dal, channa masala, soup, veg manchurian gravy, or just appreciate it’s simplicity on it’s own. Also, try the garlic naan. 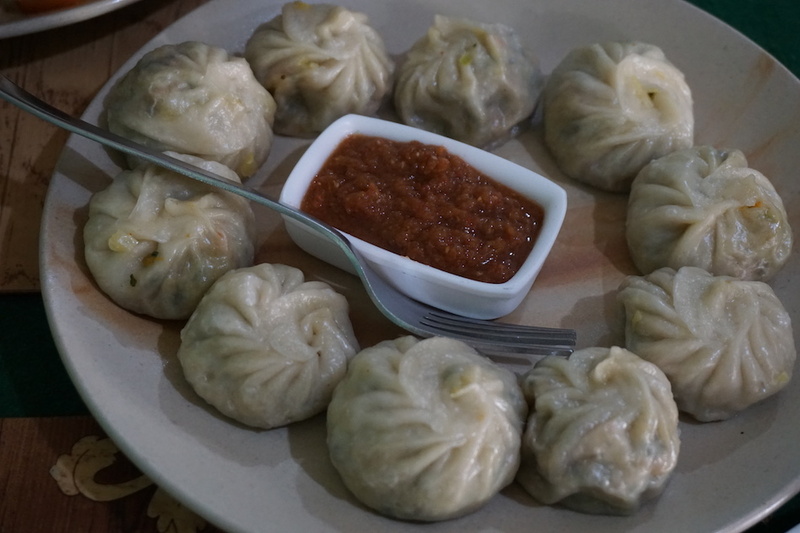 Momos are a delicious Tibetan steamed dumpling stuffed with a variety of things. We of course love the vegan momos, and always begin to crave them as soon as we arrive in India. 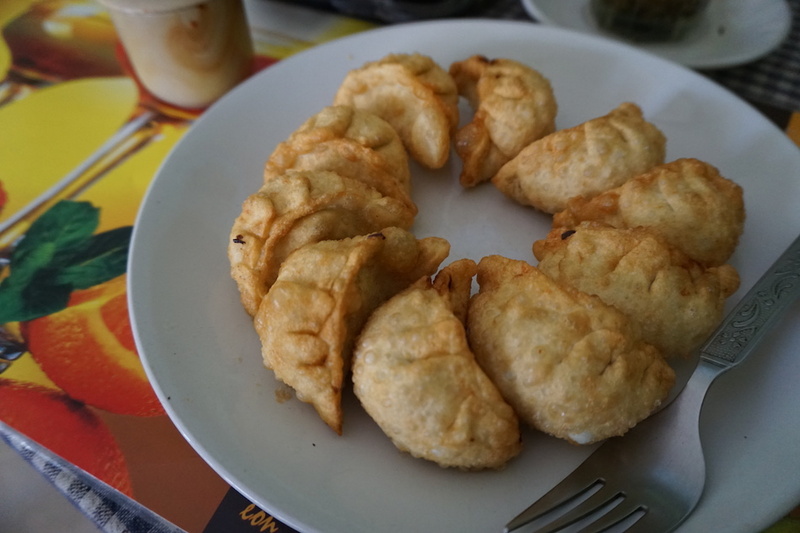 You can also order fried momos, and an incredible momo soup. These delightful dumplings are either stuffed with garlic, ginger, cabbage, and other vegetables, or mashed potato. Be sure to ask for no cheese or butter when you order. Enjoying a plate of hot steamed momos on a cold day in the Himalayas is one of our fondest memories while being in India. You are probably thinking a big bowl of lettuce, with other greens, but the name is misleading. 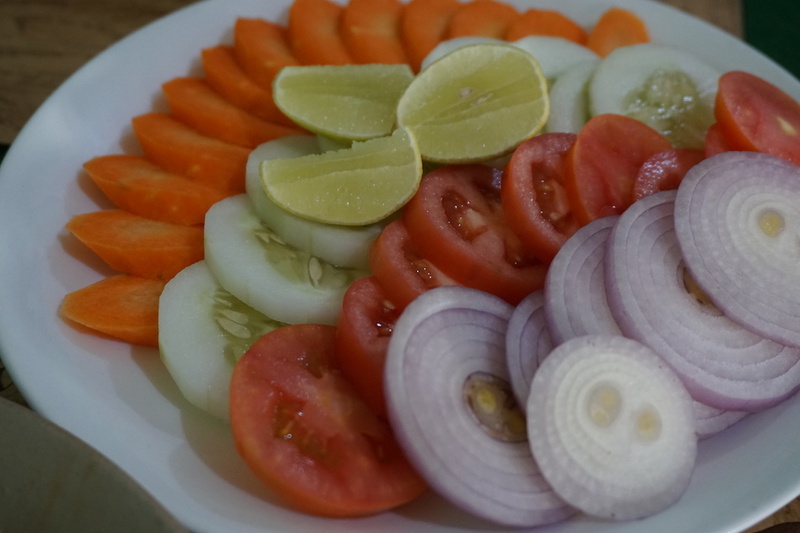 If you order a green salad in India, you are going to receive a plate with sliced carrots, cucumbers, tomatoes, and red onions. It is another simple dish, but we adore it. I make little sandwiches with one of each veggie to eat with my naan bread, or just toss a few veggies over veg fried rice, or channa masala. Oh veg manchurian. What a dish! I’m pretty certain this cuisine did not originate in India, but we have found it everywhere. 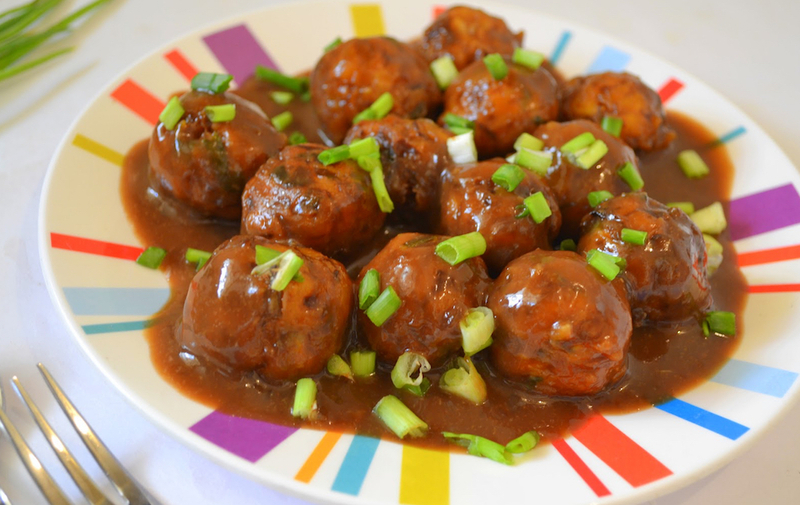 Minced vegetables are shaped into balls with the help of flour, lightly fried, then covered in a ginger vegetable gravy. The consistency is quite meaty, so if you are not a fan of this texture, I would skip it. If you are ok with it, this is definitely a treat for your tastebuds. There is so much flavour in veg manchurian. It is also a bit on the salty side. Our go to when there is nothing else to eat. Veg fried rice has been there for us through some hard travel times. 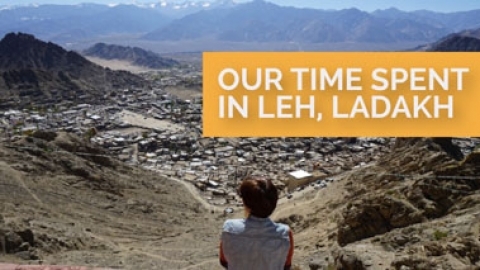 In Vietnam, when all the phö around us contained beef broth, when we couldn’t handle 1 more baguette in Laos (I know, how is that even possible? 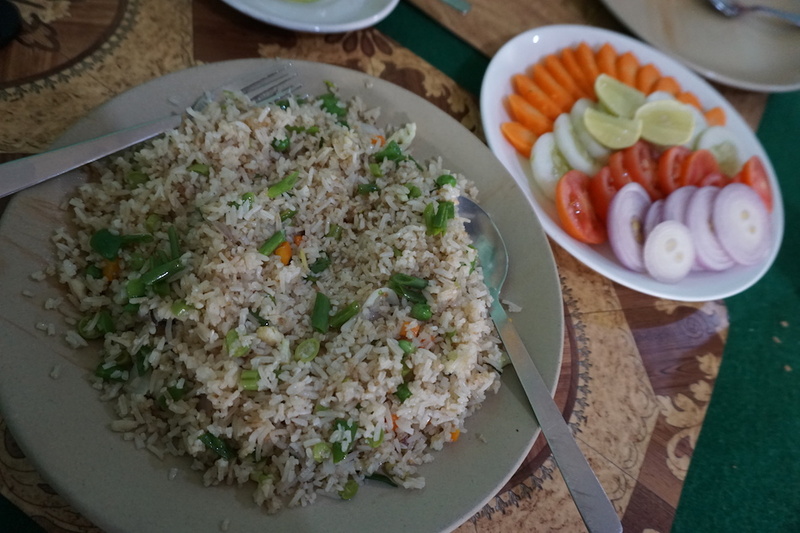 ), or when we were in a small Thai village, and everything contained fish sauce, but the veg fried rice. 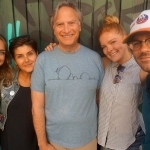 Yes, we’ve become close throughout the years. And if it’s done right, it can be a great meal, especially when it’s made with basmati rice! We’ve enjoyed quite a bit of veg fried rice, and still, we are not tired of it. Dal fry is a simple dish made with yellow split peas. It is usually served with thali as a dip for your bread, but feel free to eat it as a soup as well. It is yellow in colour, full of protein, and really delicious for such a simple dish. You will find dal fry in every menu throughout India. Try ordering it on it’s own with some chapati and rice. It seems pretty plain, but you may be surprised at how delicious and satisfying it can be. A quintessential Indian dish. 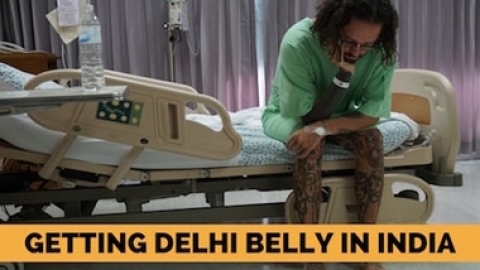 You have to try thali in India. 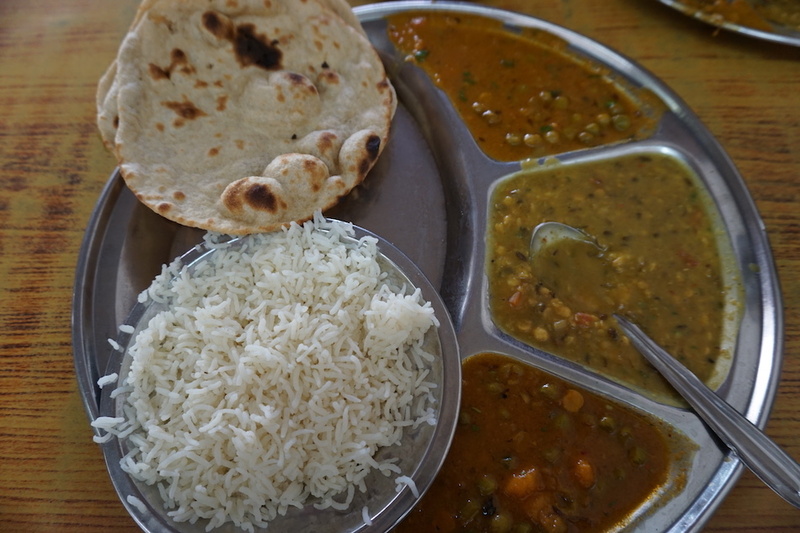 Use your hand to enjoy eating this amazing meal of different veggies, chapati, and rice. 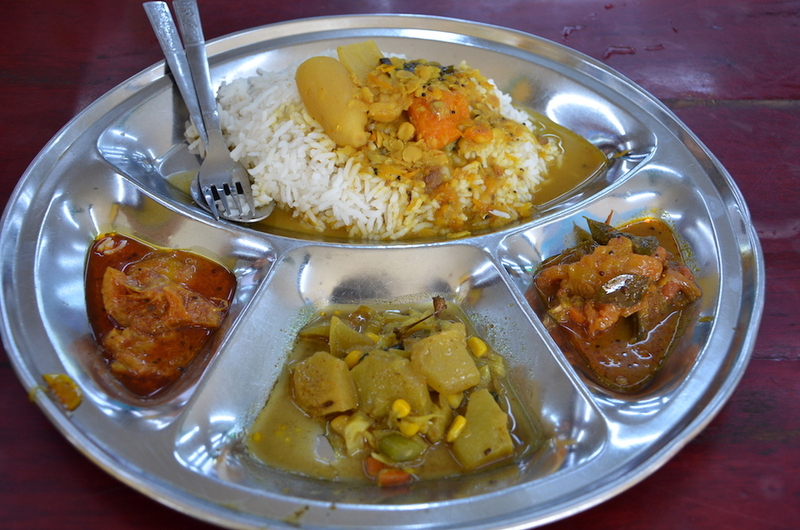 Thali is served in a metal plate that has concave spots for each different food served. Don’t be surprised if the server comes around a 2nd or 3rd time to ask if you would like another serving of rice or dal. They are generous that way. You can find thali at several different restaurants, but we recommend you try it at a local canteen. It’s fresh, delicious, and at $2 CDN, dirt cheap. 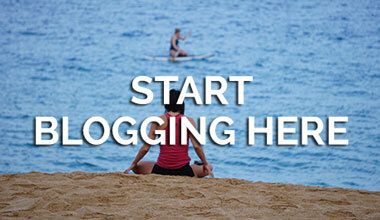 You can find tofu in the bigger city’s in India- like Delhi, Mumbai, and Bangalore. 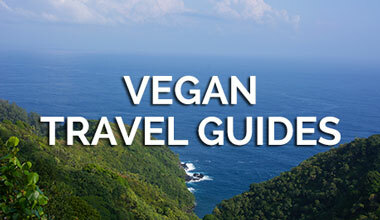 A few vegan and vegan friendly restaurants in Goa also serve it. 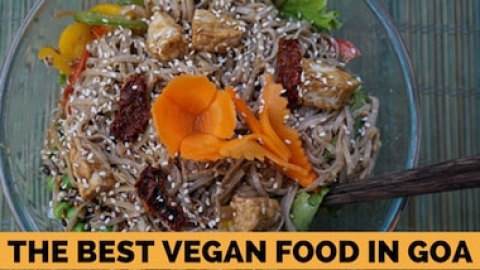 A very special mention goes out to Bean Me Up vegan restaurant in Anjuna, Goa. This place is incredible! We would definitely Return to Goa just to eat here everyday. 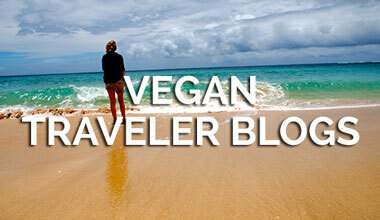 Their Kombucha and ginger beer is so refreshing, and their freshly made plant based meals won’t soon be forgotten. The chilled out music sets the vibe, we spent hours in the tree shaded courtyard catching up on work, and enjoying some of the best food in India. 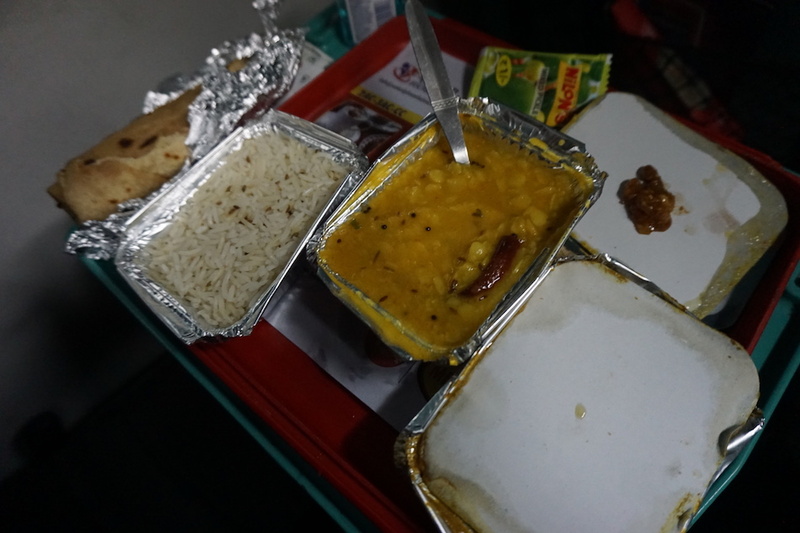 Indian food is famous for spicy dishes, and rich curries. 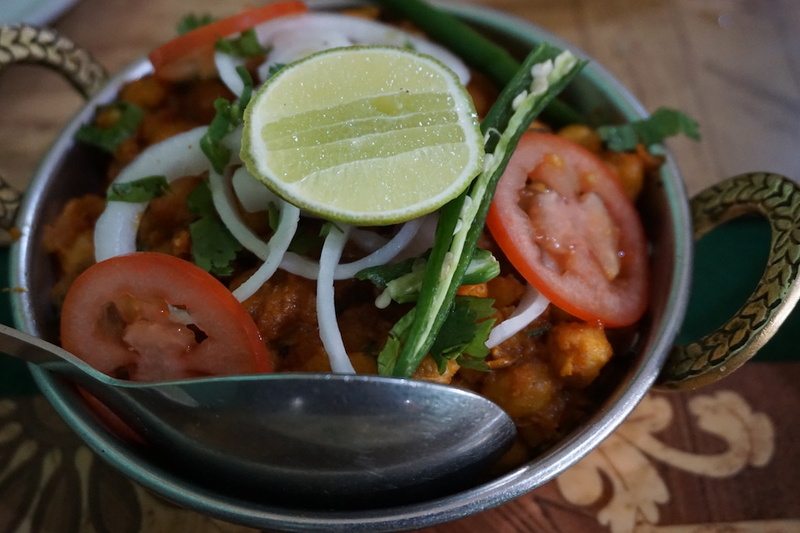 With pungent spices like cinnamon, tamarind, cardamom, and garam masala, you won’t find a flavour like it anywhere else in the world, so take advantage of all of the plant based mouth watering options in this vast country.